Karl Martins (John Dumelo) and his wife detect a loophole in their marriage and they both hire a private investigator to trail on one another's steps. Unknowingly to them both, they have hired Con artist as spies. 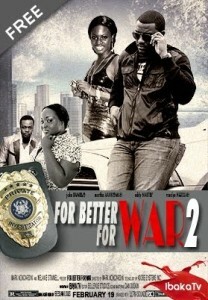 For Better For War is a movie about trust and broken communication in marriages. This is the second film of the two-part series.